Garden centres have increased in popularity in the UK over the last decade and all the signs are that they will become more popular over the next decade. Our aim is to provide you with independent reviews of garden centres enabling you to decide which you want to visit and which you want to avoid. We cover everything from the modern large super-store garden centres through to the independent small nursery. Both have their part to play in providing a wide range of plants and gardening goods for your benefit. Geography plays an important part in deciding which garden centres you may be interested in. If you live in the Midlands then you are unlikely to be interested in a garden centre in Scotland. To help you locate the garden centre that suits you we have divided the UK into county areas. The are a few areas of the UK which are no longer in a county, for example Coventry and Birmingham. They are authorities in their own right so we listed them in the county list on the left. Recently we have started adding food hygiene ratings which have been given to cafes, restaurants and food establishment in garden centres. These awards are given by the Food Standards Agency and although not fool proof, they do give some idea as to the cleanliness of a cafe. Wherever possible we also comment on how a garden centre or nursery is arranged for the purposes of wheelchair users. All our full reviews are always the result of a personal visit to the garden centre or detailed investigation into their facilities. 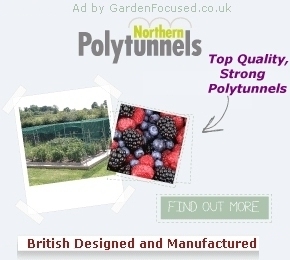 We have absolutely no association with any particular garden centre or chain of garden centres. All the reviews are our own personal, unbiased opinion. Over the past four years we have visited and reviewed in full over 300 UK garden centres so although our opinions may not necessarily be the same as yours, at least you can be assured that it is an informed opinion.